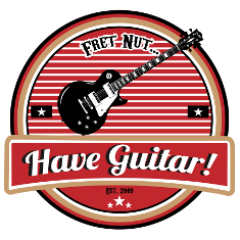 pitch shifter Archives - Fret nut... Have Guitar! Have Guitar proudly presents a new feature on this channel – Pedal Frenzy! Stomp of the Month! First out is the Boss PS-3 Digital Delay / Pitch Shifter. Not a new pedal, rather even a vintage one as I’ve had it since at least the early 90’s. So take a look, a listen to this demo to see how it sounds and how it stands up to modern effects. The Boss PS-3 is still for sale in used condition every here and there so I am pretty sure people are still using it! I hope you liked this video, please do subscribe to Have Guitar to give my channel a little support. It’s all free of course and just takes a click on the sub-button… As always – a very Big thanks to all of you already subscribing! Recorded with a Sony FDR-AX100 in HD.